The Democratic Congressional Campaign Committee reversed its previous position and is now supporting Rep. Dan Lipinski (D., Ill) in his reelection bid. The DCCC had previously declined to endorse Lipinski, a socially conservative Democrat and member of the Blue Dog Coalition. Lipinski, the seven-term incumbent, is facing pro-choice marketing consultant Marie Newman in the primary. Newman has been endorsed by abortion rights advocacy organizations like Emily's List, Sen. Kirsten Gillibrand's (D., NY) political action committee, along with Democratic Reps. Jan Schakowsky (Ill.) and Luis Guitierrez (Ill.). 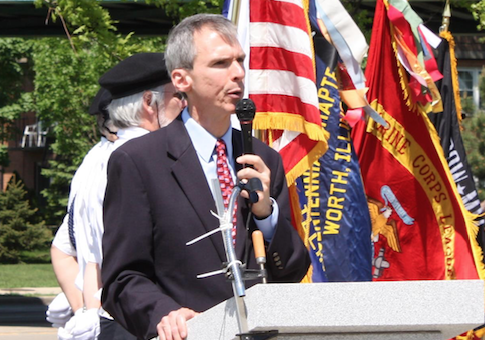 Lipinski is pro-life, voted against the Affordable Care Act in 2010, was in favor of freezing funding for Planned Parenthood, and was one of six Democrats to support a ban on abortions after 20 weeks post-conception. House Minority Leader Nancy Pelosi (D., Calif.) also announced her support for Lipinski last week. The DCCC's change of heart comes after it was criticized for not backing Lipinski, contradicting its stated policy of supporting incumbent candidates, the Washington Examiner reports. Lipinski confirmed to the Examiner that he is now receiving resources and support from the organization. Rep. Kurt Schrader (D., Ore.), head of the Blue Dog Coalition PAC, had ripped the DCCC's lack of support for Lipinski as "totally unacceptable." The PAC, according to its website, represents "commonsense, moderate voice of the Democratic Party, appealing to mainstream American values." Despite out-fundraising Newman, Lipinski is currently locked in a heated race that could be a harbinger of further-left Democrats challenging centrist Democratic incumbents. The Democratic primary for the Illinois 3rd Congressional District is scheduled for March 20. This entry was posted in Politics and tagged Illinois, Midterms. Bookmark the permalink.